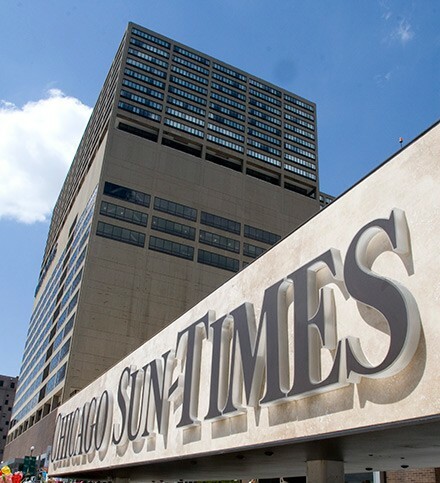 Sun-Times Media is bringing back four photographers. In an era of journalism when everyone is expected to do everything, is there still a place for the specialist who does one thing well? Possibly not. 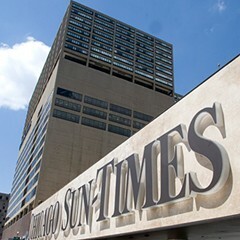 But Sun-Times Media is bringing four photographers back into the fold this week—four of the 28 who lost their jobs last May, four of the 17 who belonged to the Chicago Newspaper Guild. These are Michael Schmidt, Al Podgorski, Rich Chapman, and Brian Jackson. Their resurrection (along with new STM layoffs) was first reported Tuesday by Robert Feder. Photographs are a nice thing to spruce up the print product with, and after the photographers were run off last year the absence of decent photography was perhaps more conspicuous than Sun-Times Media expected it to be. But a luxury's a luxury. My understanding is that the company felt a year ago that it couldn't unilaterally recategorize photographers it might have wanted to keep, because its contract with the Newspaper Guild wouldn't permit it. 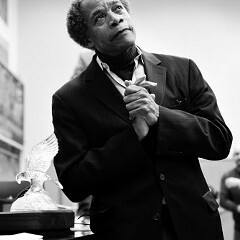 The guild looked at the situation differently and filed an unfair labor practice with the National Labor Relations Board. Contract negotiations dragged on for 15 months, but when a new contract was finally agreed to last November, the guild announced that some of its photographers would be returning to work. Asked if they wanted to be considered for the new multimedia billets, about half the guild photographers responded and said yes. The four eventually chosen were picked for the video skills they already possessed and for their willingness to undergo additional training.